This bust in palm Buddha statue isnot just a miniature representation of Buddha but besides symbolising peace and enlightment it also is very finely crafted Read More..with attention to little details. This showpiece is carved with paramount care and is fashioned with finely detailed patterns on the head as well as the golden coloured robe. 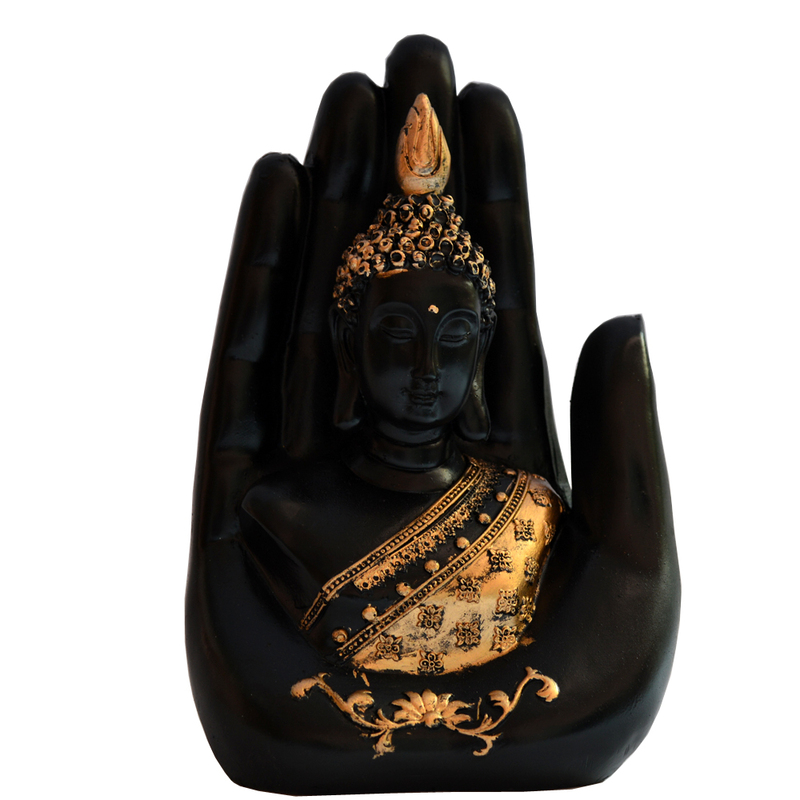 This religious idol is fancied for its light weight from the polyresin and its immense endurance. Show Less..